The following sharing was written by my God-daughter Roxy Greenspan. She sent me two of her college papers a few months ago and I asked her permission to use them on my website. She agreed. I am extremely proud of Roxy for being a truly extraordinary woman, for rising out of the ashes and trauma of her childhood and becoming the kind, intelligent and phenomenal woman she is today. You will see all of this in her writing and sharing here. I am including Roxy’s work on my blog for several reasons, first of all because she is a clear voice for healing and hope even after tremendous difficulty and childhood distress, and secondly because Roxy is also describing her process and her growth through trauma into wellness. No matter what hardships we encounter, her example and her ideas and her victories can help all of us move forward and into hope, healing and wholeness. As an adult, and after some personal work and reflection, I am able to better understand my current patterns of communication, coping mechanisms, and the way I operate in the world as a result of the cumulative experiences that have made up my life. I have always struggled with how I identify in the world and with whom. Born into a family of alcoholism, mental illness, and homelessness, my support systems were often lacking, and when present, inconsistent and insecure. My mother’s inabilities to care for me as a child and her wish for me to have experiences in life that she could not give me, such as emotional love and support, resulted in me living in the homes of various people throughout my childhood. My mother’s history of relationships with homeless, abusive addicts led her to being a single mother of four children, one with severe disabilities. Her own mental illness and debilitating depression resulted in her often being unable to care for her children. My lifestyle was my norm and I didn’t know any other, it was just my life—utter chaos. I knew that it was different from other people’s lives, but I didn’t know how people judged my family. Later I gained an understanding of how societal biases and systems of oppression only worsened my family’s situation, furthering the chances of generational disadvantage. There was a lack of knowledge and services for my severely autistic brother, lack of support for my mother, lack of money and an overall lack of equal opportunity to life. My brother, Jake, is severely autistic and non-verbal along with various other diagnosis. I have experienced the gut wrenching pain of witnessing my brother in pain and suffering and feeling completely powerless. With very limited means of communication, he was unable to express himself or make decisions for himself about his life. My brother has had the most terrifying life experiences that I could imagine. Not only did he experience the dysfunction of our home life and being institutionalized, but he was unable to express himself, be understood, and suffered greatly. Having a brother with severe disabilities has contributed to my development of empathy, compassion, and accepting differences among people. My mother fought with every tooth and nail to get support for him, but at the same time, she was miserable and desperate, taking out her anger and sadness on her children. Beginning from infancy, I was moved around to live with different families who would care for me for periods of time when my mother could not. There were so many families that I cannot account for who or where I was living for many years of my childhood and cannot access memories for those times. This pattern of living with various different people made it extremely difficult for me to foster a strong sense of self-identity. I was not a part of their family. I had not experienced their family culture and could not relate to it. I was only observing it and playing the part to fit in temporarily. I became consumed with needing to fit into other people’s lives, having them accept me and like me, so they would let me stay. As a result, I became a “people-pleaser” who put all others’ needs and desires first before even considering my own. I would often agree to things that made me feel uncomfortable and sacrificed my own needs. In fact, I could not even identify my own needs. I think some of this behavior developed from guilt that I had from inconveniencing these people’s lives by entering them. I felt more content in having other people’s needs met even if it made me feel bad than hurting someone’s feelings or upsetting someone by saying “no.” No matter what I did, I was never an equal in these homes. I was just a visitor from a broken home. While I was provided for in the form of shelter, physical safety, and attention, I lacked in emotional connectedness. I remember an incident in which my heart broke. It was Mother’s Day. I had been living with a family who had another daughter the same age as me. I was living six hours away from my birth mother and wanted desperately to express my gratitude and love for the mother who I lived with at the time. I picked her a bouquet of flowers and created a handmade card that I displayed lovingly on the living room mantle that morning because I was too nervous to give them directly to her. Later that day, I remember seeing the flowers and card in the trash can. She never said anything to me about the incident, nor did I. Yearning for the love of a mother, I cried privately. At times when I did live with my birth mother, I often experienced physical and verbal abuse. She was inconsistent in her moods and behaviors. She was often screaming at us children, crying hysterically, and cooking in a manic fashion into the wee hours of the morning. Food was a big theme in my mother’s house. While we lived off of welfare and food stamps, she was extremely quality oriented with food. She shopped for only local, organic groceries and was knowledgeable in areas of health and nutrition. She often put me down for being chubby and fat as a child and adolescent. I would feel worthless because I was needing acceptance and acknowledgement that I was good enough and loved in the world in order to develop a healthy sense of self and esteem. I later learned of her own struggles with bulimia and self-image. She modeled a dysfunctional relationship with body image and food that I would carry with me for my entire life. Where my home was, it’s hard to say. I do not have many memories of my younger years and there are times throughout my life that I cannot recall with whom or where I was living. From these experiences, I struggled in developing self-identity from my family culture. I was not given the time or space to appreciate and develop what was special and unique about myself. As a result of this, I am indecisive and need to be reassured often. I often doubt myself and look to others for confirmation and approval. I feel inadequate and un-confident in my abilities instead. I am often questioning my actions and experiencing high levels of anxiety over seemingly minute issues. Later in life, I did not identify myself as being an equal member of society. I became aware of the discrimination, judgments, and biases people, who did not fit societal expectations, experience, people who are labeled not “normal” and who have experienced life and early years of development differently. I felt that I did not belong and developed low self-worth. I was very depressed for many years and had difficulty being comfortable in my own body and experiencing life. I did not want to be alive to continue enduring such emotional pain and suffering. While not all of the depression, pain, and anxiety has gone away, I have learned new coping skills and ways of processing emotional pain in order to lead a healthier life. While I have developed resilience and strength, it is not without the experiences that have positively impacted my development. 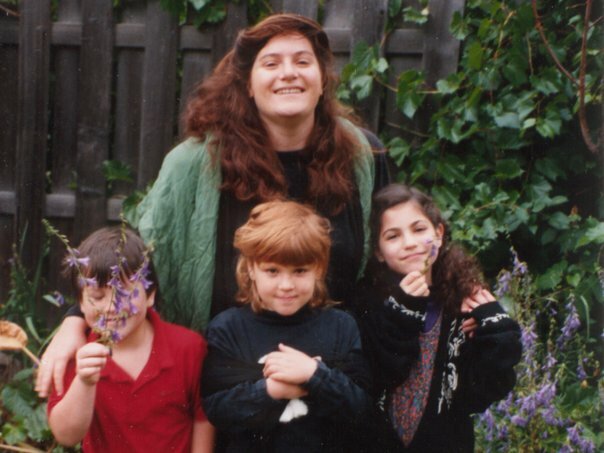 When I was in the first grade, I was living with my mother, sister, and two younger brothers in Arcata, California. I attended public school where I made friends with a young girl, Shira. It is from that friendship that I met my God-Mother, Nicole. I call her my Fairy God-Mother. I look like I could be straight from her womb with our shared brown freckles, round features, and luscious red hair. We even share the same birthday. She has always been my one constant, unconditionally loving presence in my life. She has taught me everything about compassion, love, and acceptance of others. She has dedicated her life to serving others. She has modeled the most honorable way to live life; by healing others with love. I don’t know how it happened, just as any other family who I lived with, but she recognized my needs and sought to fulfill them in some way. Nicole had two children of her own and a husband. She had a family, but she invited me into their lives and enriched mine in the most abundant way. Nicole was the first person who helped me understand that my mother did love me, she just didn’t know how to take care of children or show that love. She helped me understand that my mother’s anger and abuse came from her own hurt and it was not my fault. She provided me with safety and emotional support, encouraging me to express my own sadness and hurt. She couldn’t save me from all the hurt, but she acknowledged me for being the special, lovable person I am. For those living in darkness, the impact of one shining star to light up your life is sometimes all it takes. For me, Nicole was that shining star. Another important experience in my development has been in my relationship with my boyfriend of eleven years, Elaeth. I have not only found unconditional love, but also the one thing I had lacked my entire youth; stability. I have found the person I can rely on, who keeps me safe, who I can give and receive love and attention from. I have often felt that he is my whole family: my mom, dad, siblings, everything. He has contributed to my ability to develop through his constant presence and love. From being a part of Elaeth’s family, I have been involved in a big family with nieces, nephews, cousins, grandparents, and parents; the glue of the family. He is one of seven siblings, living in close proximity, that often celebrate events together. While his family experienced their own challenges and adversities, they demonstrated to me the ultimate power of love for one another and involved me in being a part of that. Two years ago, Elaeth’s older sister Clare died of alcoholism. It was in the last three months of her life that I witnessed and became a part of the dedication of family and the strength that can occur from this relationship. The entire family provided 24-hour care, in shifts, for Clare, throughout the last three months of her life, providing all of her medical and daily needs as she was confined to a bed. Our shift was Saturday and Sunday. The family communicated, shared grief and joy, and ultimately surrounded her with the most intentional love possible. I reflected on how this family was able to completely surround her with their love and attention for three straight months. During this time, I was working full-time and taking fifteen units of college courses. I was physically, mentally, and emotionally exhausted, and yet there was not a question as to whether or not we could do this. Everyone’s lives were simultaneously occurring while they took on their role as hospice caretakers, providing the most attentive, loving care. I reflected on my family, being only my mother, two brothers and sister. I couldn’t help but wonder what would happen to one of us in a similar situation and who would be there, who would care enough. Currently, my mother and youngest brother are homeless and I live in fear that it could easily be me. I do not have an accurate concept of my achievements or stability in my environment, and constantly fear that it could all be taken away in a moment. From this fear, I have developed a need to control my environment in ways that protect me and what I have created for in my life. While my physical, emotional, and cognitive development has been permanently altered from living in chaos, I have also gained super-hero strength. Living with adversity has given me a reason to build up resilience. Being an advocate for people with intellectual disabilities, mental illness, and people living in poverty has given me fulfillment in relating to various types of people. My life experiences have substantially increased my intrinsic motivation to create my own physical safety and stability. I have gained an ability to withstand periods of intense stress throughout my life, and persevere. I am sensitive and empathize with various types of people, especially those in need. My experiences have brought me to where I am today and my work with children. Studying Early Childhood Education for the past ten years, has not only contributed greatly to my own personal development and understanding of myself, but has given me the tools and knowledge so that I can impact other people’s lives in positive ways and contribute to the healthy development of children. All people are born into the world with a baseline of their temperament and personality traits. They will have tendencies to be more or less susceptible to certain ailments than others. Internal wiring is uniquely designed, affecting an individual’s pattern of thoughts. The process of maturation is abundantly clear. We can only scaffold knowledge onto previously known information, keeping in mind our cognitive safety. We cannot truly learn something we are not ready to learn. This is the aspect of nature in our development. As soon as we enter the world, we begin processing, interacting and responding to the people and stimuli in our environment. Areas of development are strongly influenced by the conditions in which we grow and learn from. We are influenced by the most important adults in our lives who shape our young minds. It can make the difference for a developing mind and heart to have one ally. One person who fully nurtures his or her sense of worth and encourages them through the difficulties they face. We are always growing, learning, changing. My personal experiences have contributed to my knowledge and understanding of developmental theory. From my childhood, I developed patterns in response to my constantly changing environment. I have since become aware of my behaviors and tendencies in the world as a result of my life experiences. While I have always been a sensitive, caring, and generous person, my behaviors and patterns have evolved over time. In my early years, the lack of attachment to my mother led me searching for attachment and acceptance. In my adolescent and teen years, I became completely disengaged from my family for a period of time. I could not confront or process any of the pain I had experienced and turned to very unhealthy patterns of coping, such as self-harm, alcohol, and drugs. In my adulthood, I have developed healthier patterns of creating my own space to continue developing healthy behaviors, thus being more available to help others. Every stage of my development has been vital in contributing to where I am now and the knowledge I have gained. Having an unstable living environment has resulted in me being very focused on creating stability for myself as an adult. I often try to maintain control over my environment and outcomes of events in my life. I become very anxious, over-anticipating events and unknown situations. In general, I have developed a desire to be in control of many areas of my life. My pattern of creating stability is also seen in my relationship with my boyfriend of eleven years. While I have been successful in creating stability for myself, the fear that it could vanish remains as I nurse my relationship with my homeless mother and brother. Understanding their lifestyle and struggles, because of their homelessness, makes it too much of a reality, and I am unable to dismiss the possibility of it happening to me. My experiences as a child and adolescent that were painful, emotionally, physically, and cognitively, have given me perspective and empathy for others who live in high risk environments or who are experiencing challenges in their lives. I am instinctively drawn to people who are in need, who require tender love and care. I am deeply sensitive to people’s feelings and because I have experienced such pain, I do not want others to have to endure their pain alone. 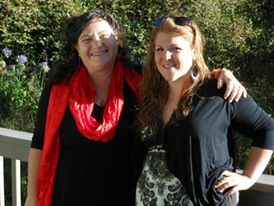 I have, also, had the amazing experience of a loving presence in my life; my God Mother, Nicole. Understanding the impact of her love and nurturing has resulted in my pattern of providing that for others. I feel most adequate when I am helping others or when I can positively influence another person’s life. Another pattern that I have developed is my ability to find immense strength during times of stress. I have lived most of my life with sympathetic nervous system detecting threat. My emotional and physical being has remained in a protective state of constant stress. Because this is my reality and will continue to be, I have adapted to the state of being under extreme stress. As a result, I have noticed the pattern of elevating my stress levels consistently. It has become my normal state. I believe that I function more productively and am more connected to the world when I have many commitments and responsibilities, often involving the care of others. While many of the stress inducing situations that occur are a result of my family dynamic, I also have become aware of my actions that contribute to maintaining this state. I believe that in order to excuse myself from dealing with some of the more challenging situations that occur within my family, I become extremely busy to fill my time and energy. If I am focused on all of these other responsibilities, it is more understandable that I would not have energy to put towards processing the hard stuff. It is more acceptable for me to avoid responsibilities, such as becoming my brother’s conservator, when I am completely occupied by my current responsibilities. Although I am conscious of this pattern of justifying my actions, I continue to feel immensely guilty for not doing more for others. I have worked very hard to consciously change negative patterns that became a regular part of myself. One of my earliest formed patterns of people pleasing behavior has taken me many years to shift. It was not until I became confident in my abilities as an early educator and received mentorship from many important co-workers who affirmed my abilities that I could begin to believe it. In finally identifying my strength, what is special and unique about me, and gaining support in my professional experiences, I was able to develop more direct communication with others, specifically regarding my needs or situations that could be uncomfortable. In school, I was so disconnected for many years because I could not focus on the irrelevant information being fed to me. I attended a prestigious preparatory high school my senior year because the family who I was living with at the time had ties to the school. I had no intention of going to college upon graduation. I had no motivation to excel. I was very depressed and using alcohol heavily. For many years I continued this pattern in an effort to push away pent-up emotions and trauma that I wasn’t ready to face. While it seemed like a way to not deal at the time, it only intensified my depression. I have been able to build upon positive patterns in my life through years of growth, processing, working on my relationships, and positive reinforcement. I have consciously made a decision to lead a healthy life where I can positively influence others. I know now that I can only do that if I take care of myself first. I have become a dedicated student. I have worked on replacing negative self-thoughts with positive statements and affirmations. I am applying myself in life and believing that I am capable and competent. I have gotten a degree in Early Childhood Education and I am continuing my education to be an effective leader in my field. I have been reaching beyond my comfort zone and applying for other positions in leadership in education. Most importantly, I am recognizing how to meet my own needs. In my relationship with my birth mother, I have had tremendous growth and development. With a deeper understanding of myself and of her mental illness, I have replaced old patterns, which maintained our hurtful relationship, with healthier ones. I have developed patterns to protect my safety while maintaining and building a loving relationship with her. I have developed clear boundaries, such as her not knowing where I live, saying “no,” and standing up for myself. I see her in the most humane way. I understand her behaviors are strongly influenced by her life experiences, which have been excruciating. While it is not an excuse for the way she treated her children, I do not hold hatred or anger towards her. I believe only love can heal. I have developed deep empathy and love for my mother. I see her strengths and the ways that she has contributed, and continues to contribute to who I am today, and for that I am thankful. I have taken my fears and shifted them into motivation and determination to create a life for myself that involves comfort, affection, joy, and security. I have worked full-time and gone to school to be able to provide for myself and to break cycles of generational disadvantage. I am breaking cycles of abuse, addiction, and homelessness. In order to do so, I have built on many positive patterns and created new patterns in my life. I continue to work on balancing my energies, being present in the moment, and doing what I love each day. I believe my patterns will continue to change as I learn from further experiences and as my needs change. From my educational and personal experiences of human development, I recognize how aspects of Erick Erickson’s Psychosocial Development Theory is apparent. Erickson’s theory is based on the idea of maturation spanning a lifetime. Through eight essential stages, he demonstrates how it is necessary for people to develop in specific areas before they are ready to learn in other areas. According to Erickson’s theory, the crisis presented in these stages will foster the development of specific patterns in life, resulting in different personality traits and tendencies. I honestly believe that I wouldn’t be able to make the positive choices in my life without the strife and struggles that I encountered. The type of support a person receives through these stages and crisis, will influence their behavior. Without having the opportunity to learn from my mistakes and difficulties I would not have come upon the conclusions that I have. The epigenetic principal, which states that we need to establish certain foundations before we can move on to other developmental stages, supports this belief. Every experience I have had up to this point has contributed to my development and thought processes. Erickson’s theory is inclusive of variation and acknowledges that multiple areas of development can be present at any stage, although certain values are dominant. This theory acknowledges the conditions in which people build resilience and adapt. I adapted to various situations throughout my life. From my personal and professional experiences in human development, it is crucial to acknowledge that development is unique for an individual and does not always fit one model precisely. I believe people grow and mature over time as long as they are interactive with their environment and are stimulated. I believe that different areas of development can be delayed due to traumatic experiences. I believe people have strengths in certain areas of development over others due to their experiences and genetic make-up. I also believe that it is our nature to adapt to almost any situation due to our survival instinct. People will seek out ways to meet their needs, in whatever ways they know how. Without the positive influences in my life, I could have very easily sought out my need for attachment and identity in unhealthy places or continued to build on my own negative patterns. My feelings throughout my life of being anxious, fearful, and trying to maintain control in situations, relate to the ideas of Attachment Theory as described by John Bowlby and Mary Ainsworth. The idea that a person will develop specific patterns relating to relationships as a result of their attachment, or lack thereof, with their mother. Because of the lack of attachment that I experienced with my mother and the lack of stability in my life, I aim to fill that void in the ways that I can. I have seen the impact in some of my preferences, such as how I do not like to travel, I get homesick very easily, crave stability and being able to predict an outcome in all areas of my life. I have developed the belief that I can only depend on myself. My theory of child development is strongly influenced by Jean Piaget, with the belief that children must be actively engaged in their environment to construct their own knowledge and understanding of the world. As they develop, their ideas will change and expand as their experiences do. I have supported play based learning throughout my work with children, acknowledging where children are developmentally and their beliefs. This type of support contributes to the development of a healthy self-esteem and worth. From studying early childhood education, I have learned of the importance of the early years of development and how much information young minds are susceptible to. When children are stimulated in positive ways, through talking, reading, movement, imagination, and self-expression children continue to grow and develop. Development is stimulated through a safe, secure environment where one can explore in, delight in, and construct their own knowledge through the experiences they have. There will be trial and error, cause and effect, challenges and victories. These struggles and successes aid children in coming to conclusions or theories about how the world operates and what are successful ways of operating in the world. Just as there are ways to foster healthy development in children, there are ways that can hinder development in certain areas. Emotional, psychological, and physical abuse affects cognitive functioning and impedes the ability to learn other skills. When a developing mind is focused on getting its needs met, it is less able to develop in other areas. When children are experiencing stress in their lives, it can also appear in unexpected ways. A child who is exhibiting challenging behaviors at school or with adults may be experiencing some kind of emotional pain and needs help processing it. Adults can support children in processing their thoughts and feelings and scaffold knowledge. When a child’s needs are met and nurtured, development flourishes. While there are many beliefs of human development, I continue to find myself drawn to theories that demonstrate how development is not solely linear. There is room for individuality and unique circumstances. There is room for progression and regression. There will be unresolved issues in our lives that will present themselves later and areas of development that we will rapidly catch up on over time. As a living, human organism, we are born into the world with every cell in our body working diligently to not only survive, but adapt to various situations and challenges.